The law firm Miceli Avvocati advises her clients in all the matters regarding the establishment of a company following the Italian law. The relative bookkeeping and preparing of the board minutes is another service rendered by the law firm…. The law firm Miceli Avvocati supports her clients, and especially foreigners who want to buy real estate in Italy, in all the relevant matters by giving advice on all the procedures to follow and the documents to obtain…. Barbara graduated in law in 1999 at the Catholic University of the Sacred Heart in Milan, with a thesis in industrial law and was admitted to practice law in 2003. Barbara Miceli speaks four languages (German, French, English and Italian) and is a free lance translator of legal texts from German for the European Court of Justice. After more than 10 years of practice in various international law firms dealing with intellectual property law, labor law, insolvency law and debt collection, commercial and corporate law, family and inheritage law, in 2013 she founded the law firm Miceli Lawyers. 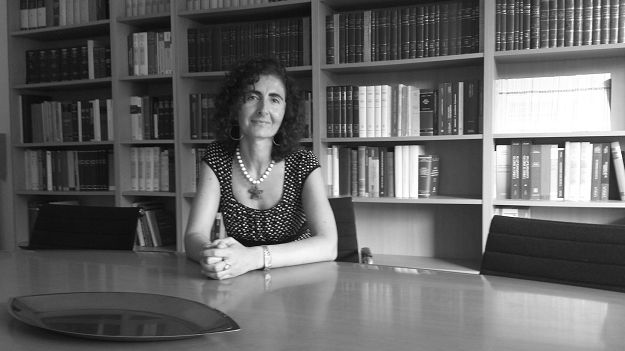 Barbara Miceli is also the author of several publications in German and winner of the 2001 competition for lawyer-linguists (German) from the European Court of Justice. Barbara is a member of DAV Italien (Deutscher Anwaltsverein), AHK Italien (Deutsche Auslandshandelskammer), DACH-Europäische Anwaltsvereinigung and the Association for cultural exchanges between Italian and German lawyers.